Ranula is cyst that is formed under the mucous membrane of the tongue’s under-surface. In some cases it extents to the floor of the mouth. It has a characteristic bright appearance. Its name is extracted from its semblance to a frog. Ranula occurs during the second and third decades of life and they are equally found among men and women. The size of a ranula may vary from that of a nut to that of an orange. The positioning of the ranula may be limited to the under surface of the tongue, it may be confined to one side of the tongue or it may be spread across the entire surface distributed equally around the midline. Floor of the mouth may also be affected by the ranula on both sides of the midline. Ranulas that are formed in the floor of the mouth usually affect the salivary glands. As the ranulas are generally asymptotic, diagnosis is usually done through clinical methods. A cervical ranula is usually seen as a neck growth. An oral ranula may cause difficulties in breathing, swallowing, chewing and speech. 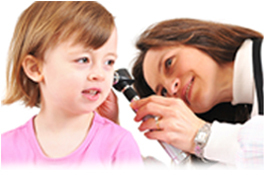 Diagnosis is based on the needle aspiration of the structure and examination of the fluid collected from the spot. Ultra sound scan of the swelling can be conducted to ascertain the correct reasons for the swelling. Radiographic images taken after cannulating the salivary ducts with iodine contrast will depict the association of the mucocoele with a particular gland. Though most ranulas are easily accessible, they cannot be completely excised. Difficulty in the surgical excision of a ranula increases as the size and ramification of the ranula increases. A small ranula limited to the undersurface of the tongue which has not extended to the floor of the mouth can be easily excised and removed. Salivary gland lies near to carnival nerves. In such cases, the mucocoele cannot be removed by a surgical procedure and it has to be periodically drained by percutaneous aspiration. When the ranula is within the buccal cavity, the content is allowed to drain through mouth by an incision made on it. In the case of pharyngeal mucoceles the entire gland and the duct will be excised and removed to alleviate the difficulty in breathing and in severe cases a temporary tracheostomy is made use of till the wounds are completely healed and normalcy is restored.